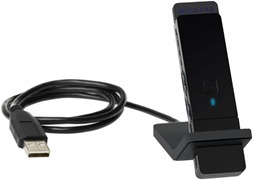 The NETGEAR N300 Wireless USB Adapter connects your notebook or desktop computer to a Wireless-N network for faster downloads, voice and music, and online gaming. While Push ‘N’ Connect gives you a secured connection at the push of a button. Compatibility with Wireless-G networks allows hassle-free connection flexiblity. The Netgear WNA3100 seems to be a solid performer. Too bad it is Windows only. As a Linux user – Windows is out of my league for expense – am sad to see that Netgear does not provide a basic Linux driver.